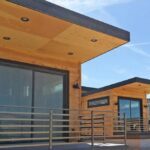 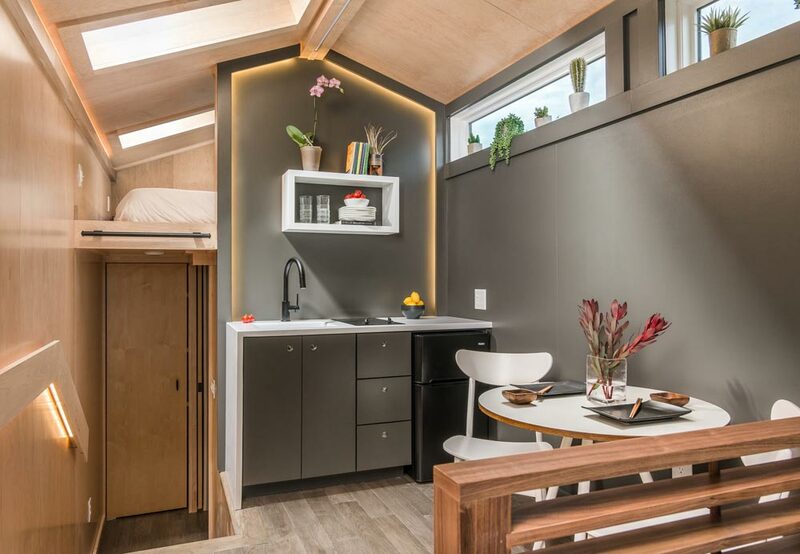 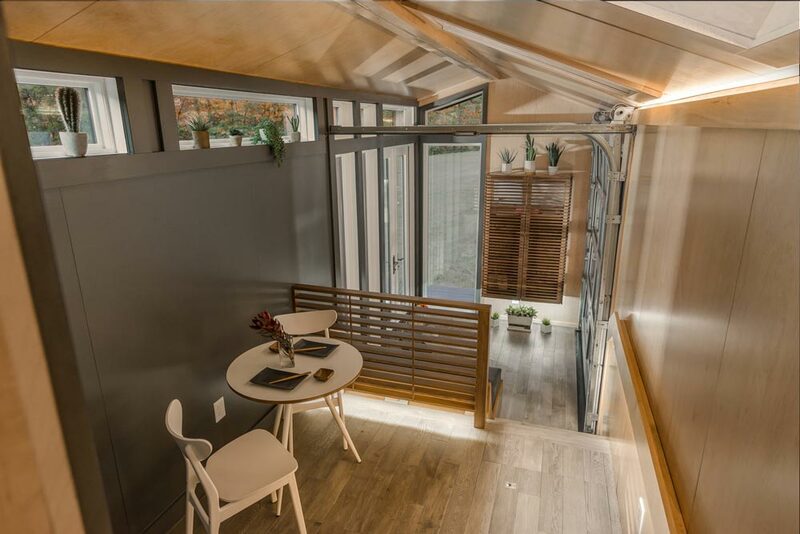 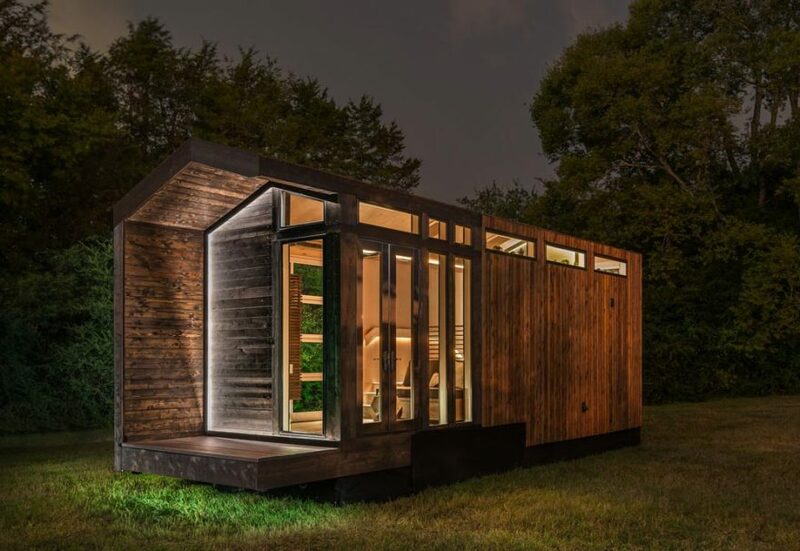 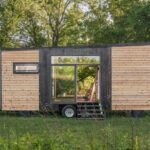 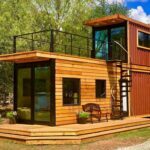 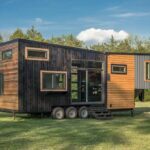 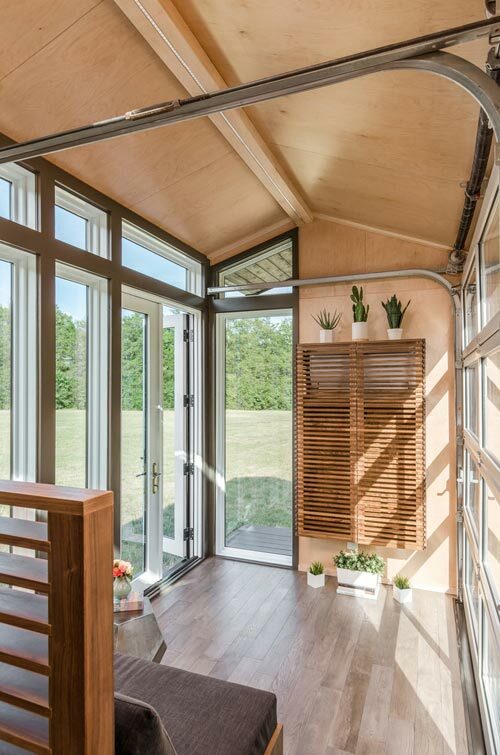 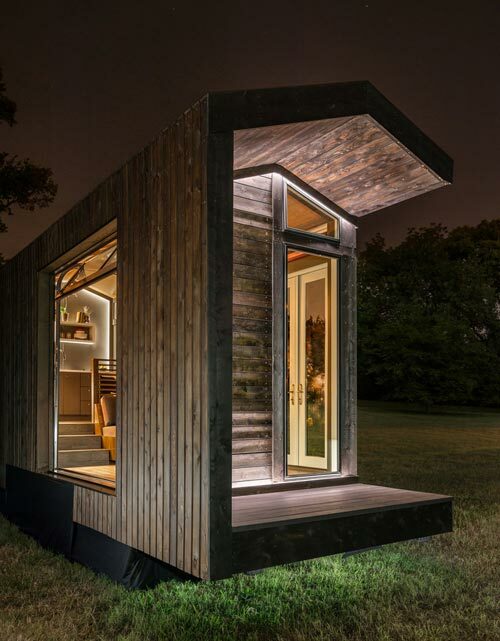 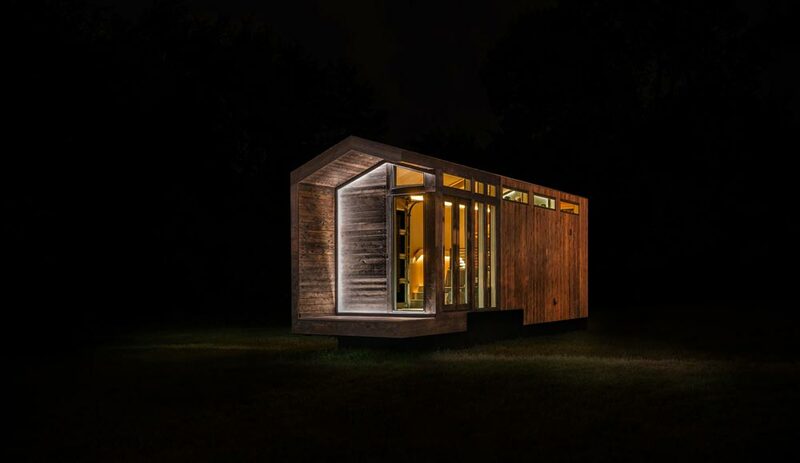 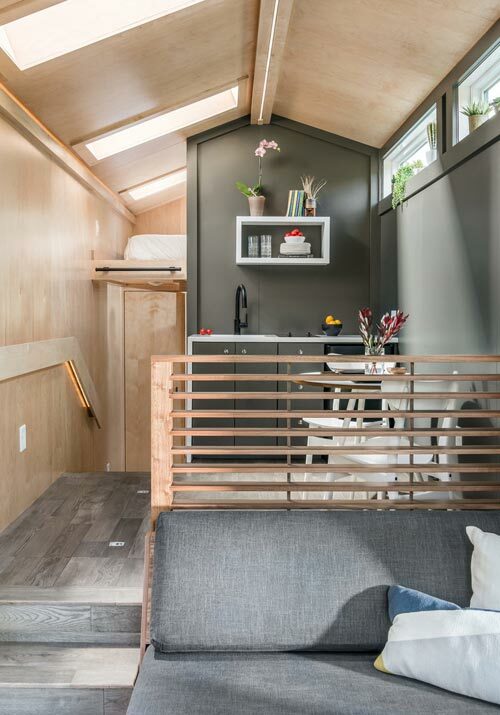 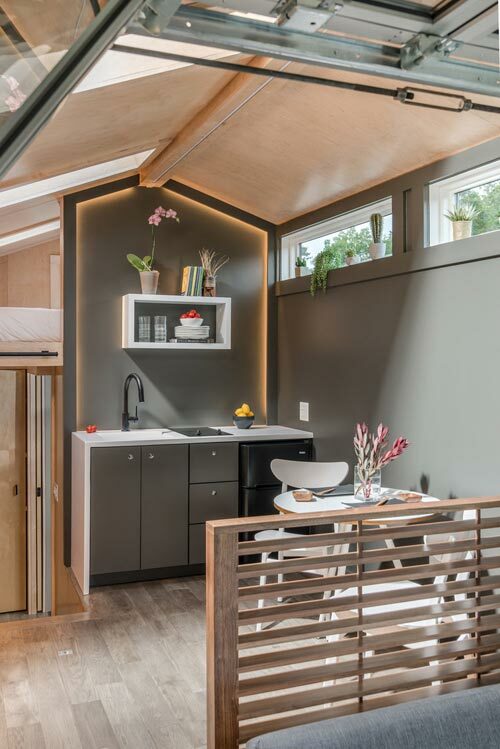 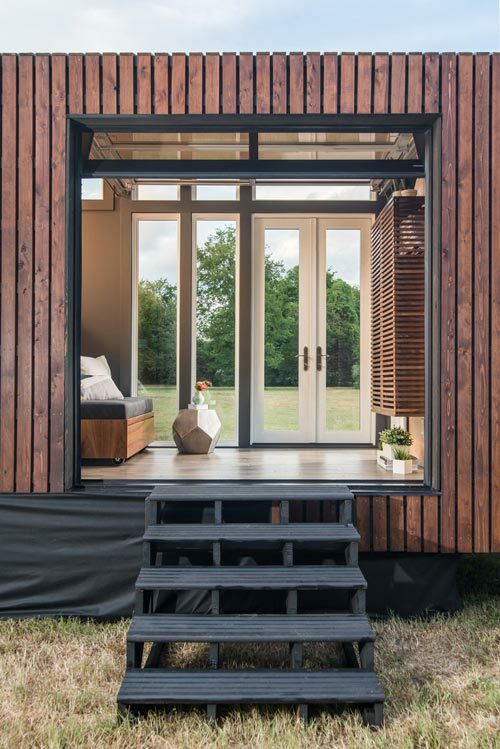 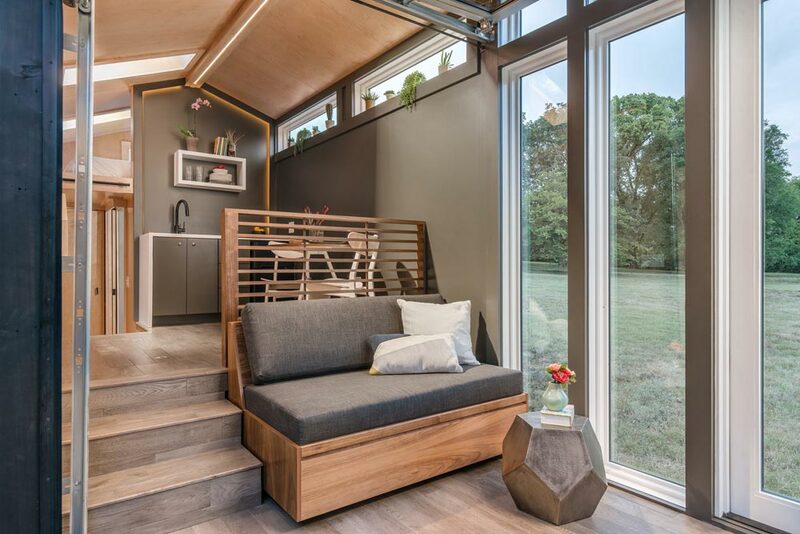 The Orchid Tiny House is a contemporary, Scandinavian-inspired tiny house designed by David Latimer and his team at New Frontier Tiny Homes. 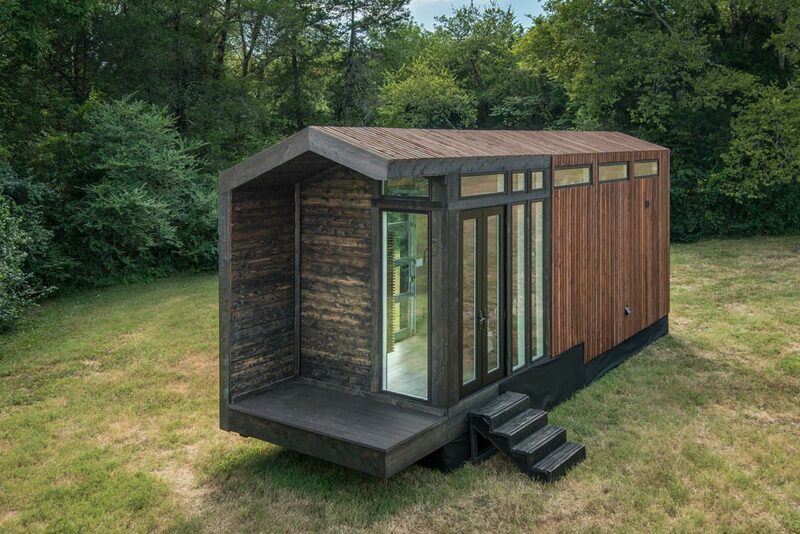 Raised cedar boards were used for the siding and roof, making it appear as if each piece is floating. 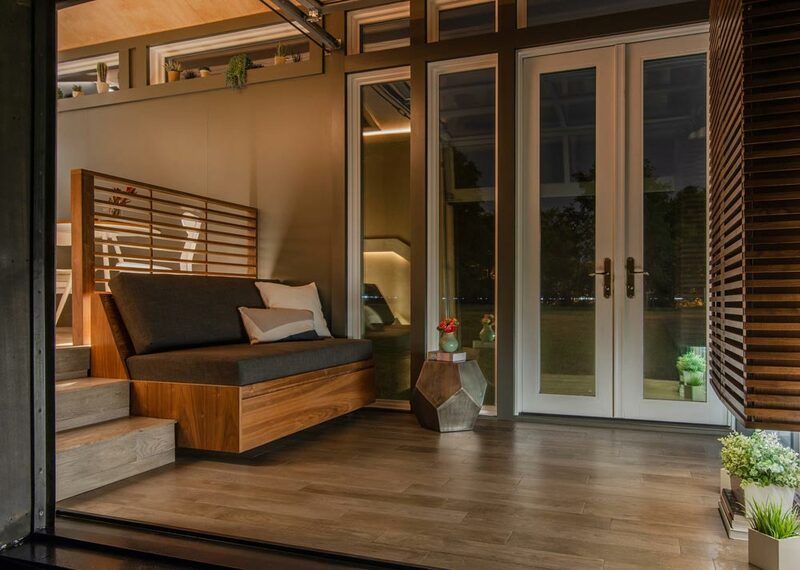 At one end of the home is a covered deck with darker stained wood siding that sets it apart from the rest of the house. 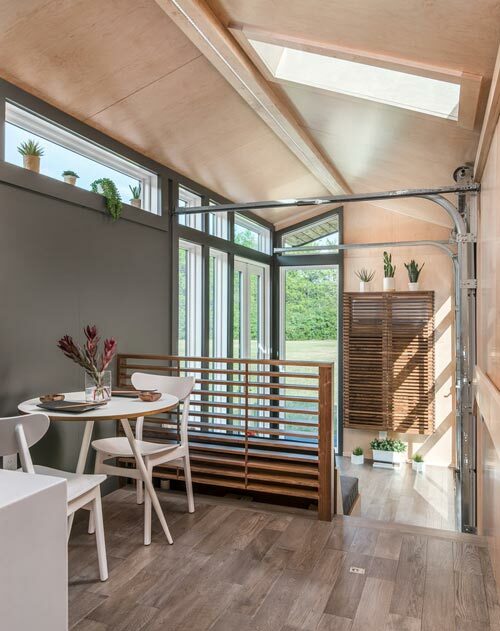 Full light french doors, tall windows, and a garage door bathe the living room in natural light. 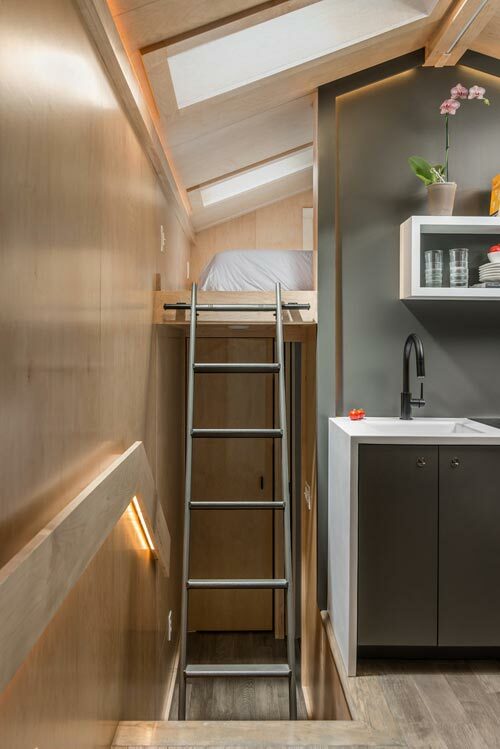 A custom designed sofa bed rolls out from under the kitchenette to reveal a full-size bed. 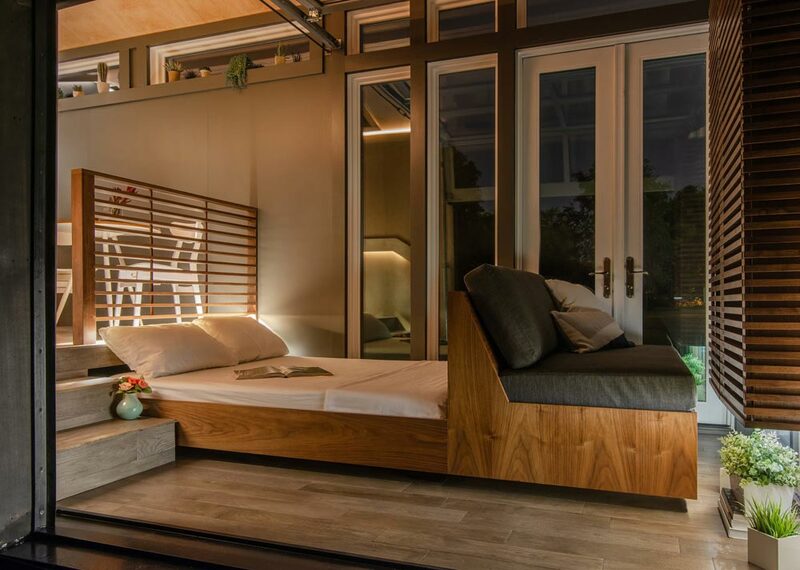 The sofa bed was built out of solid walnut. 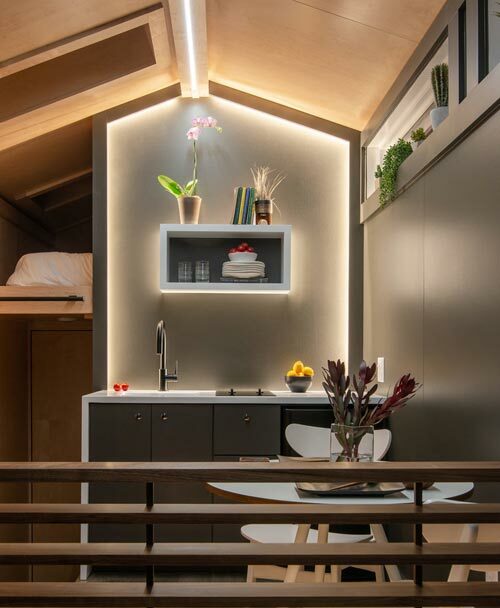 A central kitchenette and dining table sit on an elevated platform, creating separation between the areas. 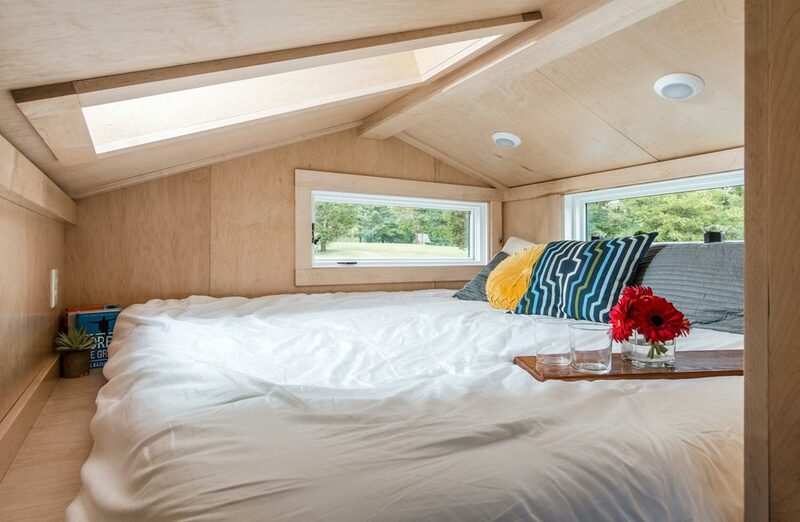 The master bedroom loft is large enough for a king-size bed and has a skylight. 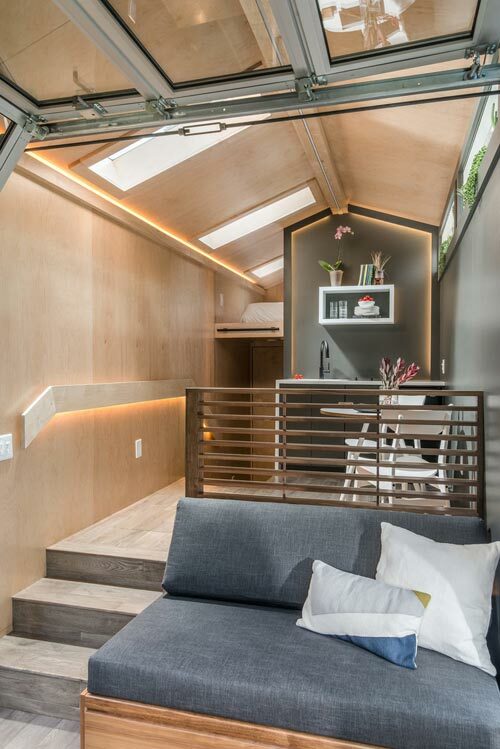 As with the rest of the house, the walls are finished with maple plywood. 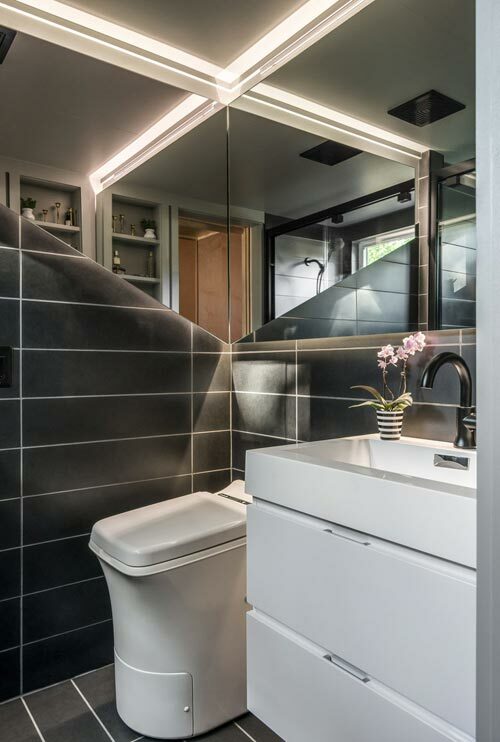 Custom valance lighting was implemented throughout the Orchid by placing LED strip lighting behind the trim. 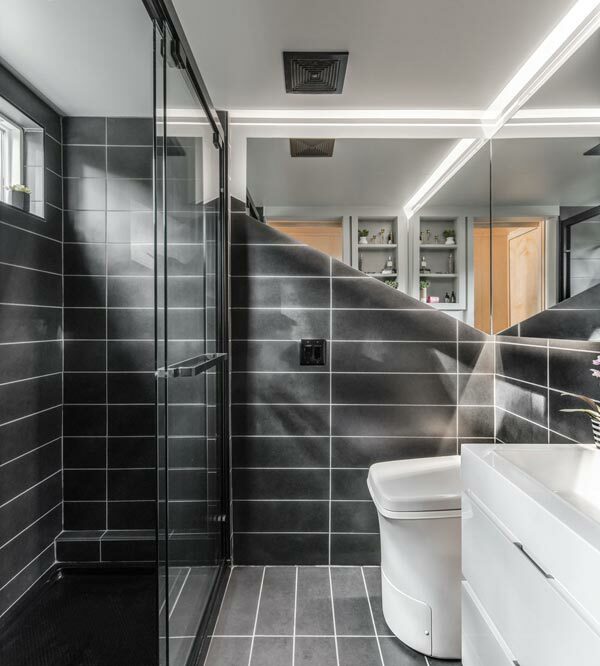 The luxurious bathroom features modern tile, a 4’x6′ shower with glass door, floating mirror with valance LED lighting, custom vanity sink, and Cinderella incinerator toilet. 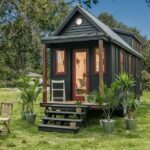 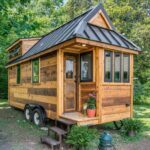 For more information about the Orchid, please visit the New Frontier Tiny Homes website.